Airport value. Secure and convenient central location. 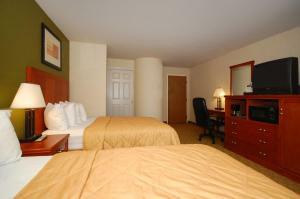 Minutes from Sky Harbor International Airport with a free 24-hour shuttle. 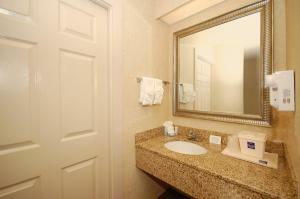 Easy access to freeways, business parks, ASU and Chase Field Ballpark and US Airways Arena. Free deluxe continental breakfast served from 5am -10am every day. Park and Fly packages available. 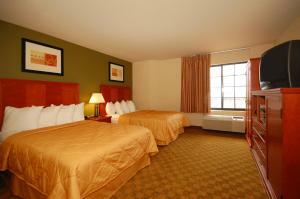 The hotel offers a free business center. 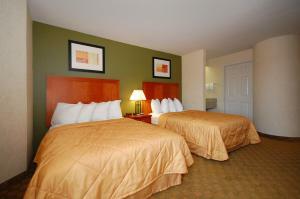 Free high speed Internet access in all rooms and hard wired Internet access in some rooms. Managers reception Monday-Thursday. Pet accommodation: 25.00/stay per pet. Pet Limit: 1 pet per room up to 50 lbs.